7 August 2017 // IF member APEBI from Argentina is dedicated to the project to build a Latin American and the Caribbean Network for Spina Bifida and Hydrocephalus. 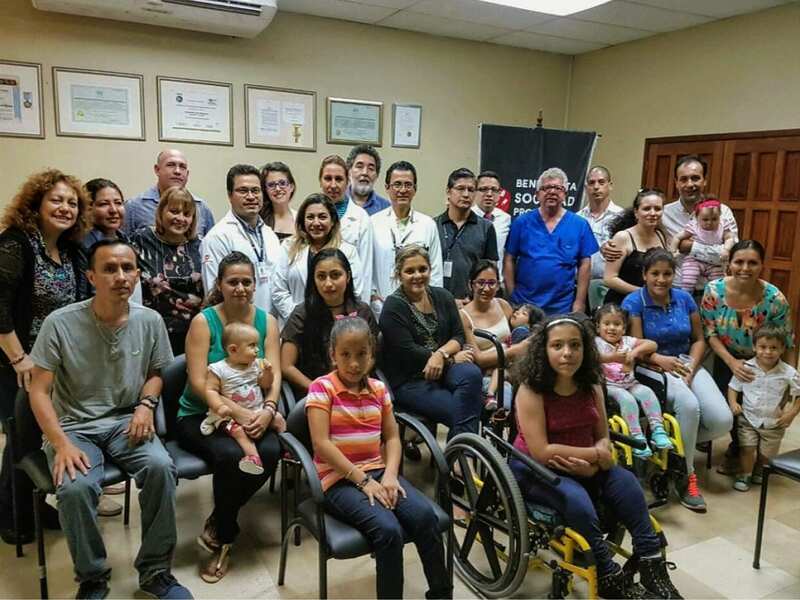 Last month, a delegation visited Ecuador, to help improve the quality of life of persons with Spina Bifida and Hydrocephalus (SB/H) and their families in this country. Health care professionals, parents and young persons with SB/H were invited and participated in the sessions organised at the Hospital León Becerra. Dr. Santiago Portillo gave a presentation, emphasising the importance of multidisciplinary clinics, the doctor-patient relationship, and explaining the goals of the network. Ms. Carolina Chávez, the project’s representative for Bolivia, explained how the project is working in her country. It was remarkable to discover that there is practically no information about Spina Bifida and Hydrocephalus in Ecuador. More information also is needed on how to prevent SB/H. The participants agreed that the doctor-patient relationship should be strong to foster trust and mutual understanding and, among others, that there is a need to support families when they are informed that their baby has a disability, and to boost independence among persons with SB/H in their everyday activities. A young woman with SB/H felt so eager to meet other young people with these conditions, that it was decided to set up a LATAM and The Caribbean youth group. Two families in Ecuador have already committed to the project and healthcare professionals have expressed interest as well. A Memorandum of Understanding was signed by the participants of the meeting listing the goals the aim to achieve, such as raising folic acid awareness, making other parents aware of the network, and organising same-day appointments at the children’s hospital Dr. Fransisco Icaza Bustamante, if a patient needs to be treated there.